The Disposable Wooden Serving Boats offer the perfect presentation for canapés, appetisers or amuse bouche. Ideal for serving tasters at buffets. With a disposable design, there's no need to worry about cleaning up after. 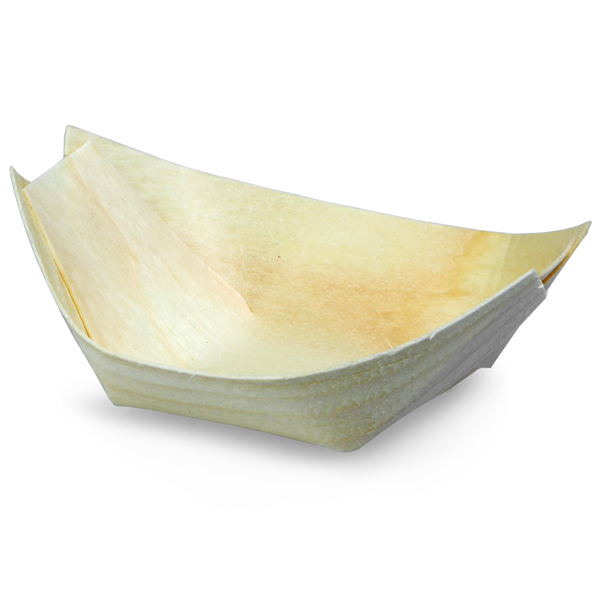 Made with semi-rigid pinewood, these mini serving dishes can be generously loaded with deliciousness.